Patients needing cardiothoracic surgery will have the operation done by an exceptional cardiothoracic surgeon at Massachusetts General Hospital (MGH), made possible through our decades-long clinical collaboration with MGH. Cardiothoracic surgeons at MGH treat adult congenital heart disease, aortic aneurysms, heart failure, heart rhythm conditions and heart valve conditions. MGH cardiothoracic surgeons collaborate closely with NSMC cardiovascular medicine specialists. Minimally invasive surgeries performed by cardiothoracic surgeons. Some NSMC patients may be eligible for video assisted thoracic surgery (VATS), a minimally invasive cardiothoracic procedure where doctors use very small incisions to access the inside of the chest cavity. VATS is often used to perform biopsies, diagnose infections or tumors, perform esophageal surgery, repair hiatal hernias, treat repeatedly collapsed lungs, and to treat a variety of other conditions. 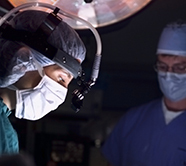 Cardiothoracic surgeons also use minimally invasive techniques to repair valves, perform cardiac ablation for atrial fibrillation, perform coronary artery bypass procedures, and repair congenital defects. To find a cardiothoracic surgeon, patients may dial 866.644.8910. On the NSMC Find a Physician site, patients can find bariatric surgeons who perform gastric sleeve weight loss surgery in Danvers, for example, or a practice in Salem where a patient can discuss thoracic outlet syndrome treatment with a thoracic surgeon.